Councilman Brandon Coan (D-8) is encouraging property and business owners along Bardstown Road, Baxter Avenue and the Douglass Loop to attend the next public meeting for the proposed creation of the Highlands Management District on Tuesday, February 12th at HopCat,1064 Bardstown Road beginning at 1:00pm. The Councilman is proposing the creation of the Highlands Management District, a nongovernmental safety and cleanliness workforce, along the Bardstown Road/Baxter Avenue business corridor. Management districts are funded by special assessments against properties located within service area boundaries, and they are managed by a voting board comprised of district property owners. The proposed Highlands Management District special assessment is $0.1745 per $100 PVA. Coan’s proposal is the result of months of studies, reports and recommendations by an exploratory committee comprised of property owners and other stakeholders in the corridor, in consultation with the Louisville Downtown Partnership. For more information about the proposed Highlands Management District, contact Councilman Coan’s office at 574-1108 or visit www.tinyurl.com/BardstownRdBID for more information. The historic Iroquois Amphitheater has changed its ticketing point of sale system from TicketFly to Eventbrite effective immediately. Eventbrite purchased TicketFly in September 2017. According to Billboard Magazine, the purchase of TicketFly established Eventbrite as the “most dominant player” in ticketing’s middle market of indie promoters, festivals and music venues. With a seating capacity of approximately 2,400, the Amphitheater is a more intimate setting than major venues like the KFC Yum! Center, but still has attracted a full slate of national and internationally-known musical acts over the past several years, including the Black Keys, Alabama Shakes, Old Crow Medicine Show, Govt Mule, Billy Idol, Wilco and Louisville’s own My Morning Jacket. Amphitheater staff will still maintain the iroquoisamphitheater.com website and its social media accounts on Facebook and Twitter. The website will still contain a link for customers to use when purchasing tickets. Concert goers can also purchase tickets at Eventbrite.com or download the Eventbrite app from the app store on their mobile phones or devices. Also, the Amphitheater office at 1080 Amphitheater Road in Iroquois Park is open from Monday-Friday, 9 a.m. – 4:30 p.m. Those who purchase tickets in person at the office are not subject to paying online service feeds. “The Iroquois Amphitheater is excited to be a part of the Eventbrite family,” said Michael Hallett, manager of the Iroquois Amphitheater. “The increased marketing strength which Eventbrite has will continue to elevate the status of our venue. President David James (D-6) will officially welcome District 6’s newest business on Thursday, November 29th when Adrienne & Co. opens its newest bakery cafe at 1212 S. 4th Street. “We believe Adrienne’s will find that Old Louisville is ready to welcome Adrienne’s Bakery to become one of the many great businesses that are helping this area of our city grow,” says the President. The official grand opening is set for 10:30am. President James, the Mayor’s Office, and company representatives will have a ribbon cutting. Following the ceremony, there will be a mini tour and light refreshments. This is Adrienne & Co.’s fourth location and the first time it has located In Louisville. The Company’s three other locations are in Southern Indiana. 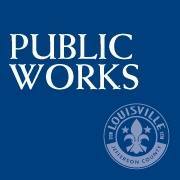 The Metro Council’s Public Works, Facilities, Transportation and Accessibility Committee will hold the last of two public hearings on the proposed Itinerant Vendors, Peddlers and Solicitors Ordinance this Tuesday, November 13th at its regularly scheduled meeting beginning at 3:00pm. The second hearing will be held in the Council Chambers, 601 West Jefferson Street, 3rd floor. “The Committee welcomes all viewpoints on this legislation. As we have said before we are taking the time necessary to make sure we have a good ordinance. After these two hearings we will begin to move forward with a final product,” says Councilwoman Barbara Sexton Smith (D-4). American Airlines today announced new daily nonstop service between Louisville International Airport (SDF) and Los Angeles International Airport (LAX) beginning Tuesday, April 2, 2019. The airline will operate the flight using a 128-seat Airbus 319 aircraft with WiFi and in-seat power. The daily flight is scheduled to depart SDF at 7:24 a.m. and arrive at LAX at 9:00 a.m. The nonstop return flight is scheduled to depart LAX at 10:55 p.m. and arrive at SDF at 6:02 a.m.
With this announcement, American Airlines will offer 27 daily nonstop flights to seven destinations from Louisville including Charlotte, Chicago, Dallas-Ft. Worth, Miami, New York-LaGuardia and Washington-Reagan. Drivers of electric vehicles in Louisville have yet another place to “fill up” their batteries with the installation of a new public charging station at Seneca Park through Louisville Gas and Electric Company’s EV Charging Station Program. Seneca Park was chosen using data collected by Drive Clean Louisville, a Metro Government initiative that promotes the benefits of alternative fuel vehicles. A survey asked the public to identify places in Louisville in need of vehicle chargers, and Seneca Park was among the top spots named. LG&E is locating this and other stations around the Louisville area through its EV Charging Station Program to meet the growing demand for accessible, convenient charging facilities as more motorists embrace electric vehicles. Taking a data-driven approach to selecting the Seneca Park site aligns with one of Mayor Greg Fischer’s goals for the city. Located on Rock Creek Drive near the restrooms and tennis courts, the Seneca Park charging station will be available to the public for an hourly fee during normal park hours. The station is equipped with convenient quick-pay options and safety features, including charging plugs that lock in place when not in use. “It’s exciting to help answer the community’s call and assist Metro Louisville in bringing its survey results to life,” said Beth McFarland, vice president of Customer Services for LG&E and Kentucky Utilities Company. “Installing a public EV charging station at Seneca Park aligns well with the intent of our program, and its design encourages the use of public spaces like widely popular community parks.” Seve Ghose, director of Louisville Parks and Recreation, said he hopes this is the start of a long partnership with LG&E to provide electric-vehicle chargers throughout the community. Drive Clean Louisville is being spearheaded by the Louisville Metro Air Pollution Control District, which has long been a proponent of alternative-fuel transportation as a way help improve local air quality. According to Michelle King, APCD Director of Program Planning, the Drive Clean Louisville team is a collaborative effort to find resources and develop policies that promote cleaner transportation options across the city. “From gathering community input on electric vehicle charging infrastructure to sharing those learnings with partners like LG&E, our goal is to serve as a hub for ideas, information, and opportunities that will allow our city to continue fostering vibrant economic activity while at the same time supporting clean air for all,” King said. Through LG&E and KU’s EV Charging Station Program, which was approved in 2016 by the Kentucky Public Service Commission, the utilities host nine additional publicly-accessible charging stations. Customers also can host vehicle charging stations at their locations for public and private use through the program. The utilities continue to evaluate potential locations for additional public charging stations across their service territories. For more on LG&E’s EV charger network, go here. To find out more about Drive Clean Louisville, go here. Gov. Matt Bevin today announced Pounds of Plastic Inc., a supplier to the automotive and general manufacturing industries, will locate in Owenton with a more than $4.1 million investment expected to create 54 full-time jobs. Pounds of Plastic will locate in the former Itron Inc. warehouse, a 30,000-square-foot building across from the former Itron manufacturing facility. Itron closed its Owenton operations this spring, laying off about 400 employees. At the plant, Pounds of Plastic will manufacture custom polymers and thermoplastics for automotive customers. The company’s investment will cover costs to renovate the facility and purchase new equipment. Company leaders noted proximity to existing and prospective customers as a deciding factor in selecting both Kentucky and Owenton. Work on the project is expected to begin in November, with the facility operational by December. Based in Mississauga, Ontario, Canada, Pounds of Plastic specializes in custom polymers and thermoplastics used in automotive and a variety of other industries. As well, the company provides technical expertise for customers including assistance with recycling programs. Richard Pounds founded the company in 1997 in response to an insufficient supply of nylon compounds and other materials for use by southern Ontario’s moulding industry. Since then, the company grew to service processors throughout North America. Sen. Julian Carroll, of Frankfort, said the local workforce is ready to serve its newest company. Rep. Phillip Pratt, of Georgetown, said statewide, pro-business policy changes have made projects like this possible. Mayor David Wotier noted the team effort necessary to make the project a reality. Owen County Judge-Executive Casey Ellis said the arrival of Pounds of Plastic leads the way for new growth in the community. To encourage the investment and job growth in the community, the Kentucky Economic Development Finance Authority (KEDFA) on Thursday preliminarily approved the company for tax incentives up to $900,000 through the Kentucky Business Investment program. The performance-based incentive allows a company to keep a portion of its investment over the agreement term through corporate income tax credits and wage assessments by meeting job and investment targets. In addition, Pounds of Plastic can receive resources from the Kentucky Skills Network. Through the Kentucky Skills Network, companies can receive no-cost recruitment and job placement services, reduced-cost customized training and job training incentives. In fiscal year 2017, the Kentucky Skills Network provided training for more than 120,000 Kentuckians and 5,700 companies from a variety of industry sectors.